Who says hearts are just for Valentine’s day? I had a lot of fun designing this heart… which I used upside down as the bunny face for my Easter Bunny Wall Hanging. 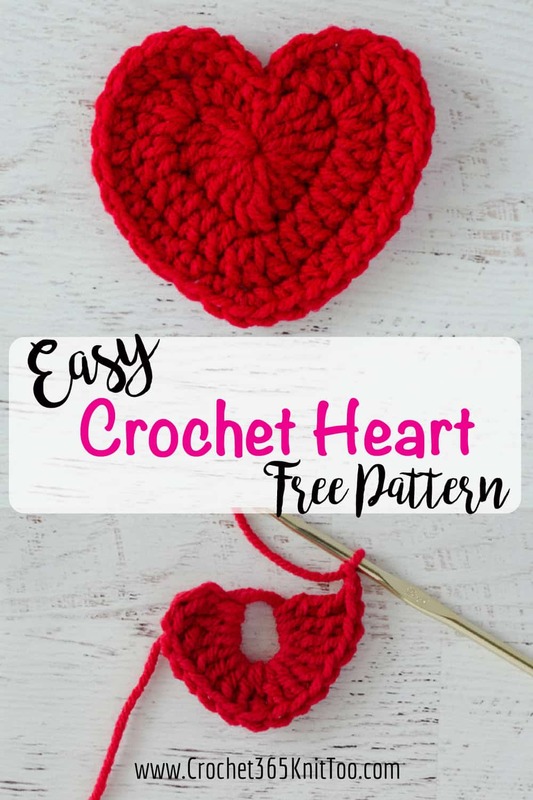 When you need a little love, this crochet heart pattern is just the thing. 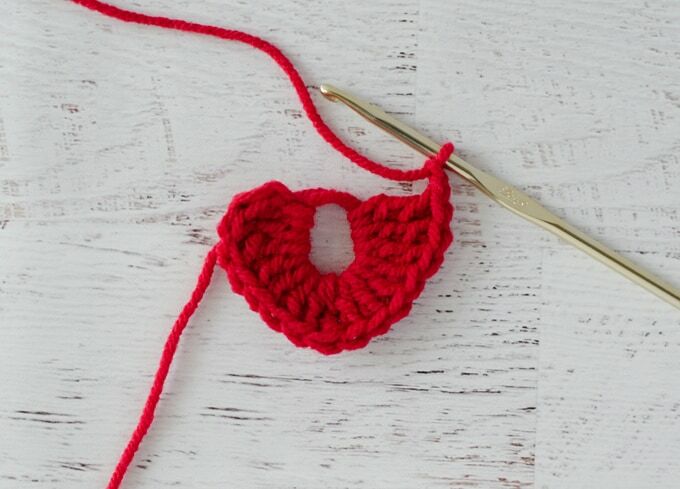 This heart is worked with worsted weight acrylic yarn and measures 4 inches wide and 3.5 inches tall when complete. If you want a smaller, not so chubby heart, you can stop after round 2. Working the first row in a magic ring sets our heart up nicely. R1: ch 2, 3 tr, 4 dc, tr, 4 dc, 3 tr, ch 2. Pull magic ring almost closed and then sl st into the center. Pull tight. R2: sc in side of starting ch2, 2 hdc in next st, 3 dc in next st, 2 dc in next st, dc in next 4 st, 3 dc in next st, dc in next 4 st, 2 dc in next st, 3 dc in next st, 2 hdc in next st, sc and sl st in side of last ch 2 space. R3: sc in next 2 st, hdc in next st, 3 hdc in next st, 2 hdc in next st, hdc in next 7 st, sc in next st, 3 sc in next st, sc, in next st, hdc in next 7 st, 2 hdc in next st, 3 hdc in next st, hdc in next st, sc in next 2 st, sl st to next st. Finish off. Your pattern are just GREAT !!! Thank you for sharing them with us !!! I just got into computers, I do not know how to file things !! But I did copy them down !! I would like to get them ALL !! Again THANK YOU !! What did I miss? How many stitches to make the magic ring? 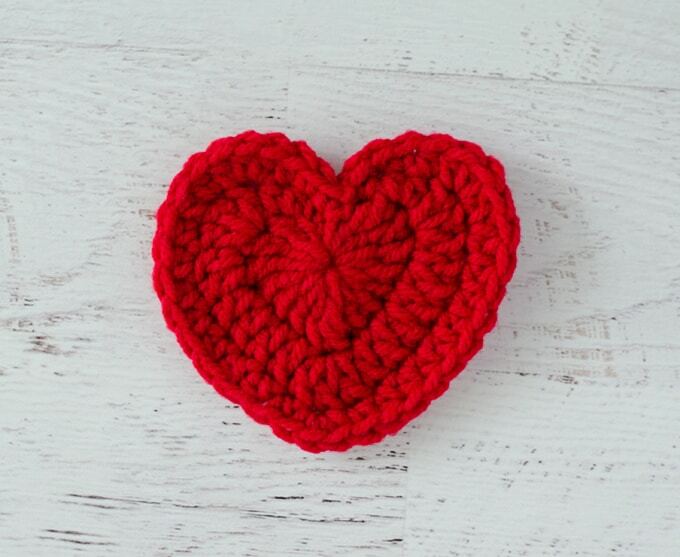 Thanks for the pattern I love the heart & everything on your website! You can learn the Magic ring right here on the blog: https://www.crochet365knittoo.com/how-to-crochet-a-magic-ring/ There are a lot of crochet tutorials here too. You can find them all by following the “Tutorials” link in the menu. Hello, are your patterns in US terms? Yes, all my patterns are written in US terminology.